Reach an average of 140,000 readers per issue, with average household incomes over $180,000 and home values averaging above $450,000. 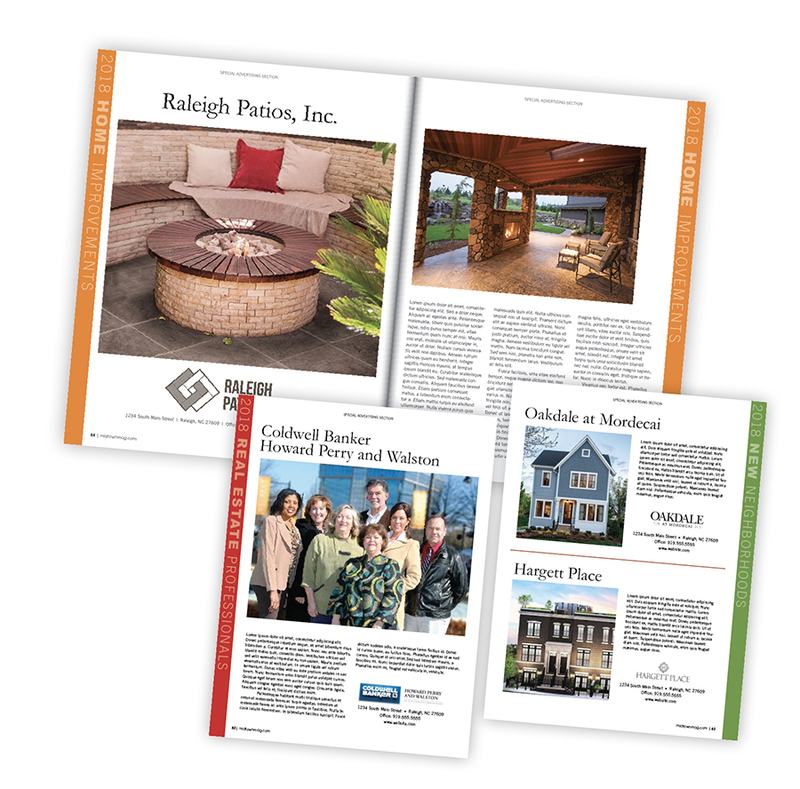 A profile in our special report will showcase your products, services, and expertise to an audience perfectly positioned to enhance their homes with renovations or purchase a new home. Midtown reserves the right to edit text or request alternative photos. Design subject to change. DEADLINES: Reserve Space by FEBRUARY 6. Submit materials by FEBRUARY 8. For more information, fill out the form below, or call us at 919.782.4710.